The transition from military to civilian life can pose many challenges for veterans. These can range from lack of connectivity to friends and family to difficulties with finding work or housing. For a large number of veterans, the adjustment period also includes dealing with mental health or substance use disorders. In the years since 9/11, ever-growing numbers of veterans face mental illness and substance abuse during service and upon returning home. According to Lifeline for Vets, about 20 percent of veterans who served in Iraq or Afghanistan experience post-traumatic stress disorder (PTSD) or major depression. PTSD as a condition caused by experiencing or witnessing traumatic events. Symptoms can include flashbacks, nightmares, rage outbursts, and intrusive memories. About 2 of 10 veterans with PTSD also develop substance use disorders, and about 7 percent of veterans dealt with substance abuse between 2004 and 2006. Common substances misused among military personnel include alcohol and prescription drugs. In 2008, approximately 47 percent of those serving in the military said they participated in binge drinking and about 7 percent of veterans said they abused prescription drugs. How Do I Help a Veteran? If you or any loved ones are facing mental illness or substance use disorders, know there are ways to get help. 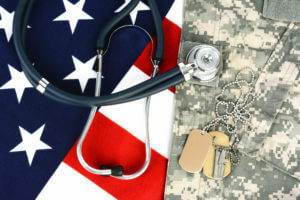 One available form of assistance is locating centers that provide mental health and substance abuse treatment to veterans regardless of insurance status or payment abilities. Mental illness and substance use disorder can often co-occur, and those facing both challenges should seek out treatment programs that address each in tandem. Family members can assist struggling loved ones by performing an intervention with the assistance of a professional interventionist. During the structured, planned event, family and friends discuss the way their loved one’s addiction has negatively affected their lives. Those staging the intervention should have an appropriate treatment center picked out beforehand, and make clear that not attending the treatment program will have consequences such as a cease in contact with children or a halt in financial support. If you are a veteran yourself, there are steps you can take — in coordination with professional mental health and substance abuse treatment — to attempt to cope with PTSD without drugs or alcohol. Suggestions by the Department of Veteran Affairs include developing a support network of other veterans and trauma survivors, performing breathing and stretching exercises as a mind-body approach to stress reduction, and working with a therapy dog. Remember that if you are a veteran facing mental illness or substance use disorder, you are not alone. According to a graphic from the MSW@USC, the online msw program at the University of Southern California, 53.3 percent of post 9/11 veterans in the San Francisco area screened positive for probable PTSD, and 57.8 percent screened positive for probable alcohol consumption issues. Mental illness and substance use disorders can feel isolating. But you do not have to carry the burden on your own. By seeking help, you can connect to others struggling, and find professional resources to guide you through the treatment process and ease your transition into civilian life. Colleen O'Day is a Digital PR Manager at 2U, based out of the Washington DC area. Colleen supports community outreach for 2U Inc.'s social work, mental health, and speech pathology programs. She is interested in writing and reading about issues related to substance use, social issues, and human behavior. Say hi on Twitter @ColleenMODay! Can A Small Louisiana Town End An Opioid Manufacturer’s Sketchy Marketing?